By participating in chat games and tournaments, you’ll increase your winning potential while having more fun than ever before. Plus, with certain types of tourneys and chat games, you’ll get to team up with your fellow roomies and help each other scoop exciting prizes such as cash, free spins, and BBs (bonus bucks). When you start to play chat games, you’ll find that there are scores of different ones available, the rules of which differ between the various online bingo sites. They’re usually played via the chat window, and the chat host will give you a few minutes notice before each game begins. He or she will also briefly explain the rules and, in the case that they’re organising a team game, they’ll allocate you to a team accordingly. Some chat games are trivia-based, and the players who respond fastest with the correct answer win rewards. Others require you to look out for certain numbers being called, and typing a specific phrase in the chat window when they appear. 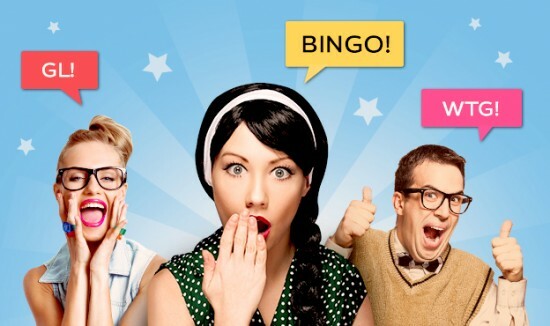 The two major advantages of participating in chat games are that the rewards given out are in addition to the standard prizes (e.g., full house), and it’s usually free to take part providing you’ve bought tickets for the bingo game that’s in-play. Tournaments are equally popular with online bingo players. Some are free-of-charge, and others require you to pay an entrance fee to enter. Each tournament runs for a fixed amount of time, and the roomies who accumulate the most Full House wins or points get to take home cash, bonuses or free spins. Furthermore, tournaments aren’t just restricted to bingo – you’ll often find slots tourneys running at online bingo sites too. If you’d like to take your playing experience to the next level, make new friends, and get your hands on tons of extra prizes, make sure you try a tournament or chat game today.